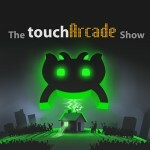 This week’s episode of The TouchArcade Show we go through a ton of news this week including things like the potential death of Apple TV gaming, Fortnite heading to Android, my time at RuneFest and how excited I am for RuneScape to hit mobile, iPad rumors, and a bunch of games we’re excited for that are coming in the future. Of course we gush over GrimValor. It’s a fun episode that takes a lot of twists and turns into movie reviews, TV recommendations, dogs barking, and loads of other ridiculous stuff.